Today brings a flurry of activity at our home as the annual high school Sweets and Sounds event takes place tomorrow. In the past both of my teens have been involved either in the show choir or jazz band. It is a fun evening where as a parent you can see how the hours of practice all come together. One of my favorite volunteer activities is baking sweet finger foods that will be served during the event. I begin searching for new ideas as soon as the most recent creations have been consumed. 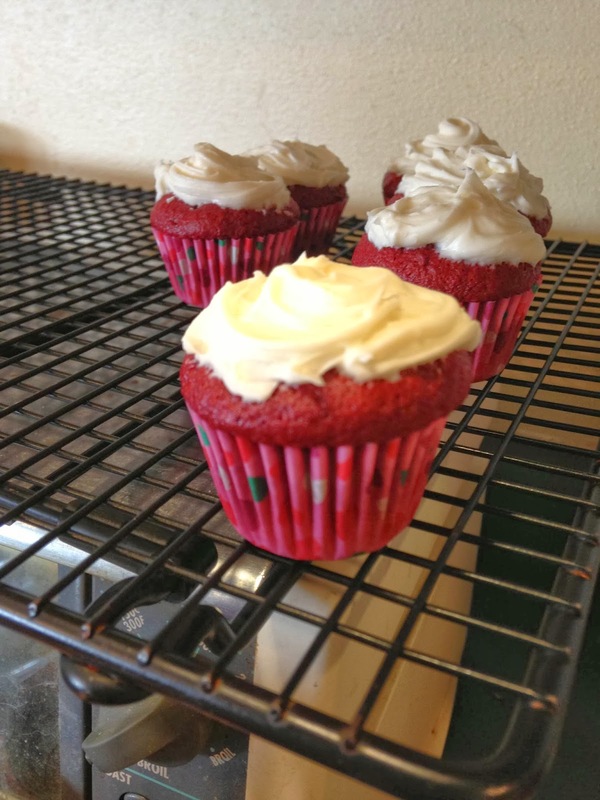 On this years menu are brownie bites (I used a small biscuit cutter to make polka dot-like brownies) and red velvet mini cupcakes http://www.kraftrecipes.com/recipes/red-velvet-cupcakes-114532.aspx . 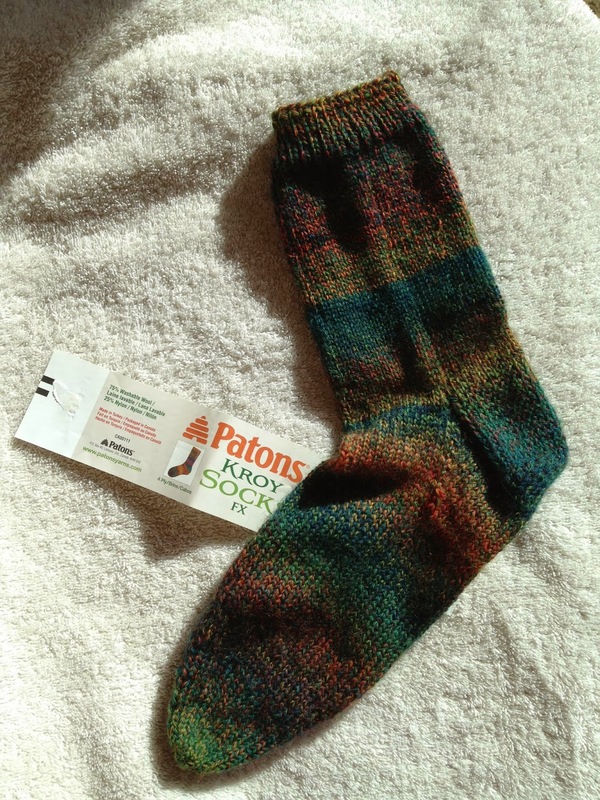 This week in knitting I have finished one new Patons Kroy sock. Next week I hope to start the second. 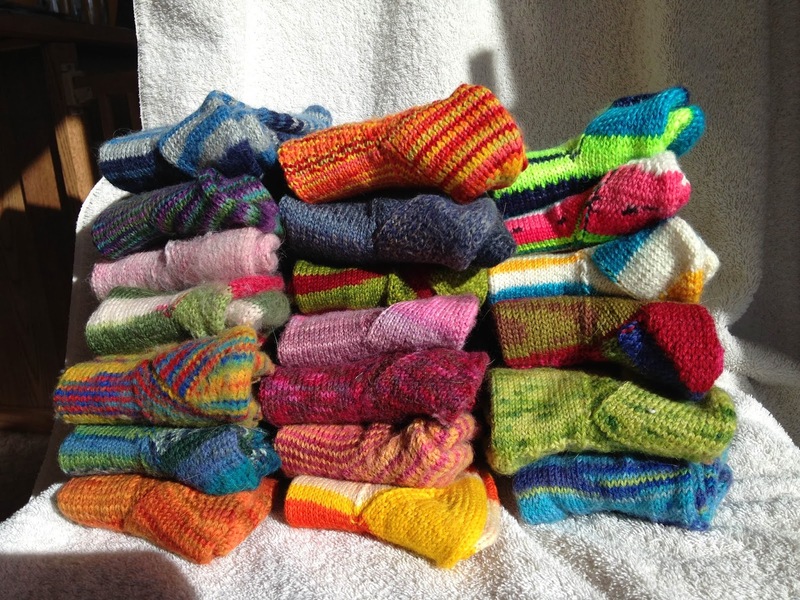 I have seen some beautiful pictures of drawers of hand knit socks recently and I thought I would take a picture of most of my collection. Sock knitting appeals to me as they are easily portable and there is a vast amount of beautiful sock yarn available. Are you knitting a sock for your sock drawer?